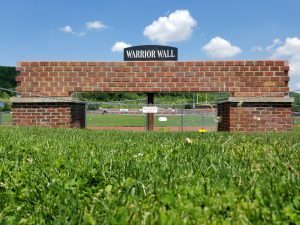 Honor or remember friends and family with the purchase of a brick to be placed on "The Warrior Wall". Bricks cost $50.00 and are personalized with information you provide. Click on the order form, fill out, print and mail with your check, to: Business Office, Canton Area School District, 509 East Main St, Canton, PA 17724. Checks should be made payable to: Canton Area School District.